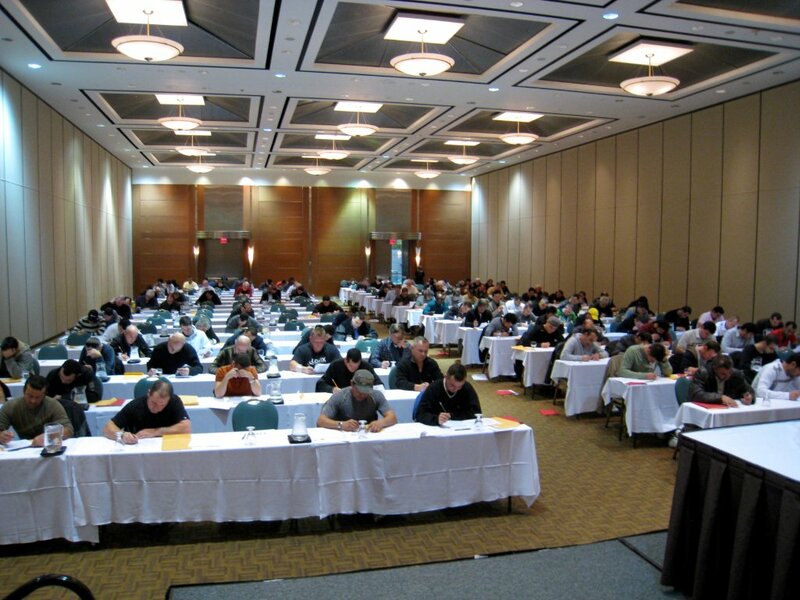 The Exterior Insulation Finish Systems (EIFS) Council of Canada Quality Assurance Program Inc. (EQI) recently held Technical Review Manual (TRM) review and exam sessions in Toronto, with more than 180 EIFS mechanics, manufacturer representatives, and auditors participating. To date, more than 625 individuals have participated in similar sessions held across the country. Photo courtesy EIFS Council of Canada. To keep up with the industry’s growing commitment to sustainable and performance-based design, the Exterior Insulation Finish Systems (EIFS) Council of Canada is continuing to expand its quality assurance (QA) program across the country. The first system of its kind for any cladding in North America, the EIFS Quality Assurance Program Inc. (EQI) will help certified and licensed EIFS professionals transform the industry through design, material manufacturing, assembly, and in-place performance. EQI has several key components, from research and specifications to manufacturer evaluation, conflict resolution, and third-party warranty. Garbin told Construction Canada Online the program is being launched across the country to create a certified and licensed industry responsive everywhere in Canada. For more information, visit www.eifscouncil.org.